Youthful Father Chuck O'Malley (Bing Crosby) led a colorful life of sports, song, and romance before joining the Roman Catholic clergy, but his level gaze and twinkling eyes make it clear that he knows he made the right choice. After joining a parish, O'Malley's worldly knowledge helps him connect with a gang of kids looking for direction and handle the business details of the church-building fund, winning over his aging, conventional superior (Barry Fitzgerald). Songs such as "Swinging on a Star" sparkle, and both Crosby and Fitzgerald do a fine job tugging at the heartstrings in a gentle, irresistible way that will make viewers return to this lovely film again and again. When I perused the list of Best Picture winning films a few years ago, I was surprised to find Going My Way because it never seemed like an "Oscar"-friendly product to me. Actually, scratch that thought to a degree, as there's nothing about the movie itself that doesn't fit in with other BP winners of the era. It's a heart-warming feel-good film not dissimilar to those produced by Frank Capra, and it fits in well with such product. 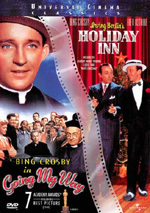 I guess the reason I was surprised to find Way among the victors' list stems from the starring presence of Bing Crosby. I never thought of him as someone who would appear in an Oscar-winning film. Granted, the Academy came to love musicals in the Fifties and Sixties, but not the kind made by Crosby, which were small and innocuous; Oscar favored splashy, daring productions. Yes, I do associate Crosby with musicals, even though he made many films that didn't fit that format. Way kind of straddles the boundaries of the two worlds. On one hand, it features quite a lot of songs being sung, but on the other hand, it fails to do so in the classic musical manner. In the latter, tunes are presented as a natural outgrowth of the moment and are done in an abstract way since we're not supposed to actually believe that these actions occur in real life. The two Crosby films use music in a more conventional manner, as all of the songs are offered as parts of performances. There's never the fantasy element inherent in most musicals. As such, although the movie contains lots of song performances, I don't really consider it to be a musical. As for the story, Way falls into a long line of pictures in which a young hipster comes into a situation with new methods and faces opposition from more traditional fogies. 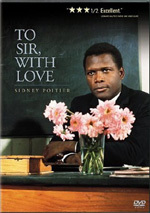 Films like To Sir, With Love use this method. It's a cheap device to draw lines quickly. Way complicates the situation in that it uses characters in atypical roles. After all, how often do we see priests cast as hip and progressive? That's exactly what we find in the persona of Father Chuck (Crosby), a new-comer who's been transferred from St. Louis to the New York parish of crusty old Father Fitzgibbon (Barry Fitzgerald). Although Chuck's there to run the joint - seems that Fitz can't turn a profit - he's too nice to let the old fella in on the secret. He gently nudges the situation along to his liking and uses his newfangled ideas to win over parishioners, ne'er-do-well local kids and Fitzy alike. Happy happy, joy joy! Despite a storyline that must have seemed tired even back then, Way manages to offer some schmaltzy pleasure. Crosby certainly didn't deserve an Oscar for his work here but he seems reasonably charming and sincere as Chuck and he adds a certain luster to the part that makes it entertaining. Bizarrely, a technicality allowed Fitzgerald to be nominated as both Best Actor and Best Supporting Actor. He won the latter and the loophole was closed. In any case, Fitzgerald is fairly amusing and compelling in the role, though he doesn't get much with which to work. Frankly, that statement goes for the whole movie. Way must be one of the least substantial and most piffling Best Picture winners ever. It's such a slight little film I felt a small breeze would knock it over. It also involved some very unnecessary subplots. I won't discuss one, because it could be regarded as a spoiler - although it ends up as almost meaningless - but the other offers a romance that seems tacked on and purposeless. Actually, I think I do understand why it exists. The filmmakers wanted to include some light romance, but leads who are priests restrict those options, so the movie used very tangential characters in that regard instead. It doesn't really work, as the romantic subplot has nothing to do with the story and it doesn't add to the movie in any way. Nor does the more tragic issue that I won't specifically discuss. It seems to contribute drama to the plot, but in actuality it offers nothing more than a momentary diversion that becomes useless in the long run. No doubt about it - Going My Way is a flawed movie, and one that didn't deserve an Oscar. However, I found it to be mildly entertaining despite the hokey sentimentality and contrived plot devices. Way may be cheese, but it's a moderately tasty variety. Quirky footnote: in the film, Father Chuck is portrayed as a big fan of the St. Louis Browns baseball team. He also mentions that he once sang with a group that called themselves the Orioles. Ten years after this movie appeared, the Browns left St. Louis, came to Baltimore and called themselves the Orioles! And now you know... the rest of the story! Going My Way appears in an aspect ratio of 1.33:1 on this single-sided, double-layered DVD; due to those dimensions, the image has not been enhanced for 16X9 televisions. Though the flick offered an acceptable transfer, it wasn’t among the best I’ve seen for movies of its era. For the most part, sharpness looked good. The majority of the flick displayed nice delineation and clarity. However, I noticed some edge enhancement, and wide shots could be a bit iffy. Jagged edges and shimmering were also moderate distractions. For its age, the print seemed reasonably clean. Grain could be a little heavy, and the film displayed mild speckles and grit. These weren’t excessive and remained fairly minor much of the time. Black levels appeared nicely deep and rich, and the picture generally displayed good contrast, though a few scenes display some slightly overly-bright elements. Shadow detail looked clear and lacked excessive heaviness. Going My Way could benefit from extra work, but I still thought it provided a generally satisfactory picture. The film's monaural soundtrack seemed mediocre for its era. Dialogue tended to be a bit shrill and not particularly natural, though the lines always remained intelligible. Effects were also acceptably crisp, though they seemed thin. Most of the music was similarly brittle but generally sounded clear, with the notable exception of some of the louder singing scenes. Those could appear harsh, especially during the opera segment. The music didn't become distorted per se, but it simply sounded harsher than it should. I also noticed a surprisingly prominent layer of background noise throughout the movie. That factor was a definite distraction and dropped my audio grade down to a “C-“. 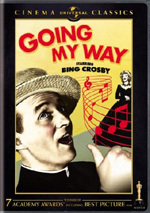 How did the picture and audio of this 2007 “Cinema Classics” edition of Going My Way compare to those of the original 1999 DVD? I thought the 2007 release offered a moderately cleaner and tighter visual presentation but its audio was noisier. The 1999 soundtrack suffered from some light pops but not the consistent layer of noise that marred the 2007 version. If I wanted to watch Way again, I’d pick the 1999 DVD. Its visuals weren’t significantly worse than those for the 2007 disc and its audio sounded better to me. Only two minor extras fill out the DVD. In addition to a trailer for the film’s post-Oscar re-release, we get an introduction from film historian Robert Osborne. In this two-minute and 18-second chat, Osborne discusses the movie’s success and unusual Oscar history: Barry Fitzgerald was the first actor to be nominated for both Best Actor and Best Supporting Actor. (And he remains the only one to receive such an honor, as the rules changed following this oddity.) This is a perfectly decent little clip, but it doesn’t give us much. It’s too bad the DVD doesn’t bring in a commentary or other elements to examine Way. This DVD drops some supplements from the prior release. It loses some good production notes and biographies. Why not include these again? They certainly didn’t take up much space. When folks generate lists of forgettable Oscar Best Picture winners, Going My Way deserves to reside high on those charts. While a pleasant enough little flick – and a huge success in its day - Way hasn’t aged particularly well, and it now comes across as a mildly entertaining piece of fluff. The DVD offers pretty decent audio with erratic audio and a weak set of extras. This is a passable DVD for an unmemorable movie. Fans who want to own Way will probably be stuck with this edition, as the old one with Holiday Inn is now out of print. If we just compare the two versions of Way and ignore that factor, then it remains a toss-up. 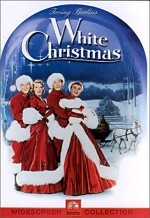 The “Cinema Classics” Way provides moderately superior visuals, but the audio for the old disc is stronger because it lacks the consistent layer of noise. The 1999 Way also includes a few extras absent from the “Cinema Classics” DVD. Because of all these factors, I find it tough to recommend the new release over the old one. Indeed, I’d prefer to watch the 1999 version due to its superior audio.